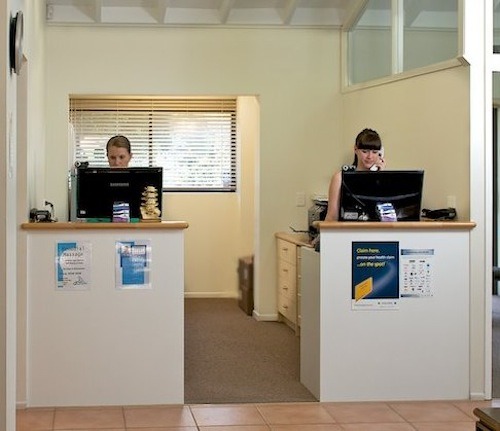 Welcome to Pickford Chiropractic – our neat and tidy office is easy to spot. You’ll be warmly greeted and made to feel at home. Dr Mark Pickford has been in practice for 20 years and as you can see, he still loves it. Dr Christine Thatcher using the diversified technique to adjust a patient. 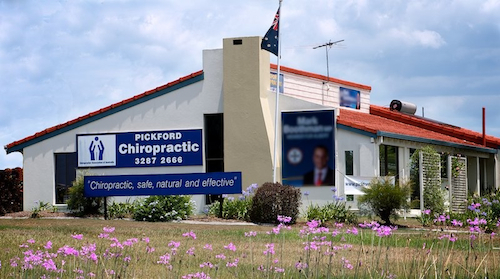 Contact Pickford Chiropractic Clinic today to make an appointment.